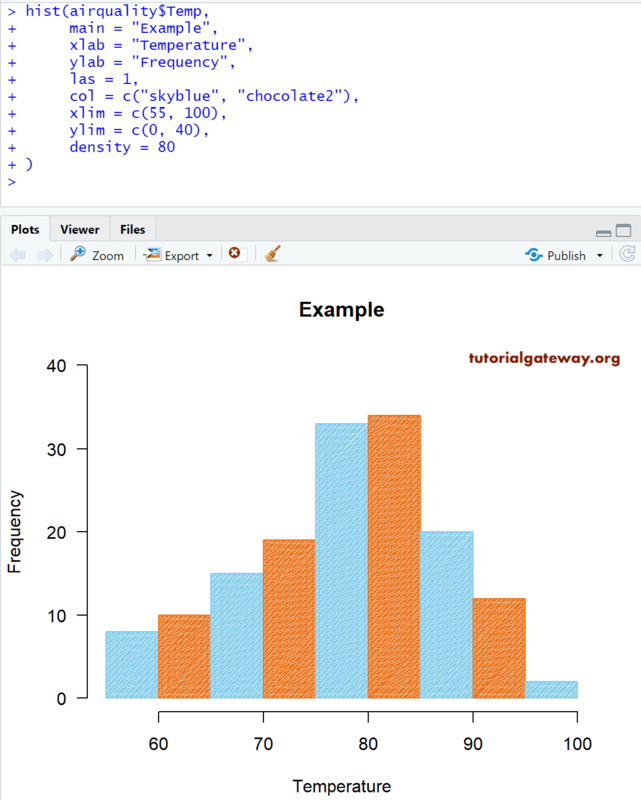 The Histogram in R Programming is very useful to visualize the statistical information, that is organized in user specified bins (range, or breaks). 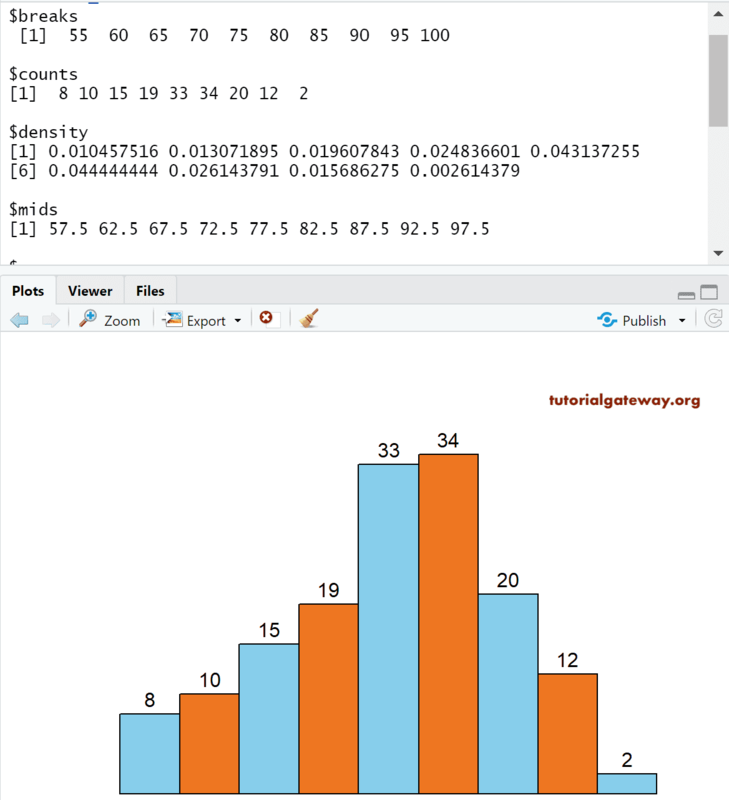 Though it looks like Barplot, Histograms display data in equal intervals. 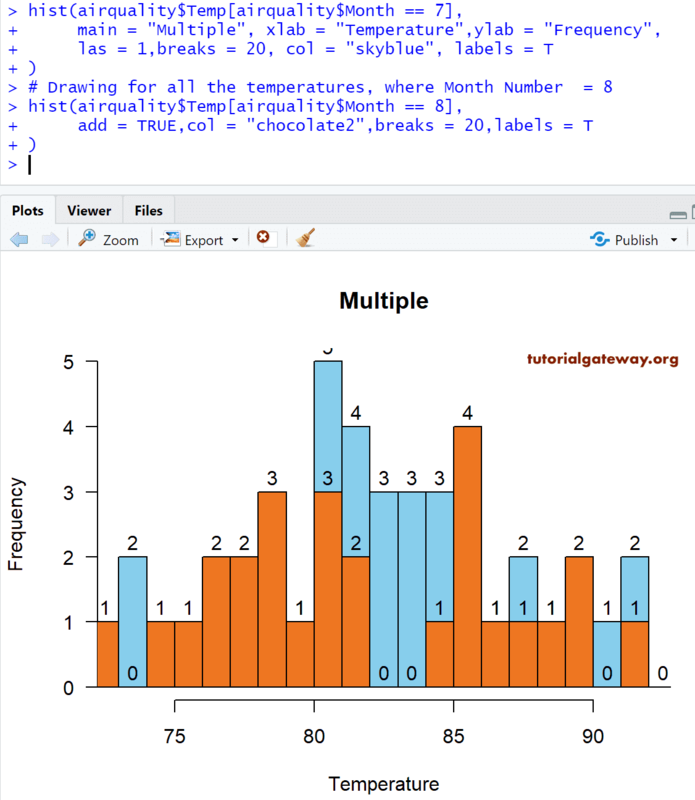 In this article we will show you, How to Create a Histogram in R, Remove it Axes, Format its color, adding labels, adding the density curves, and drawing multiple Histograms in R Programming language with example. 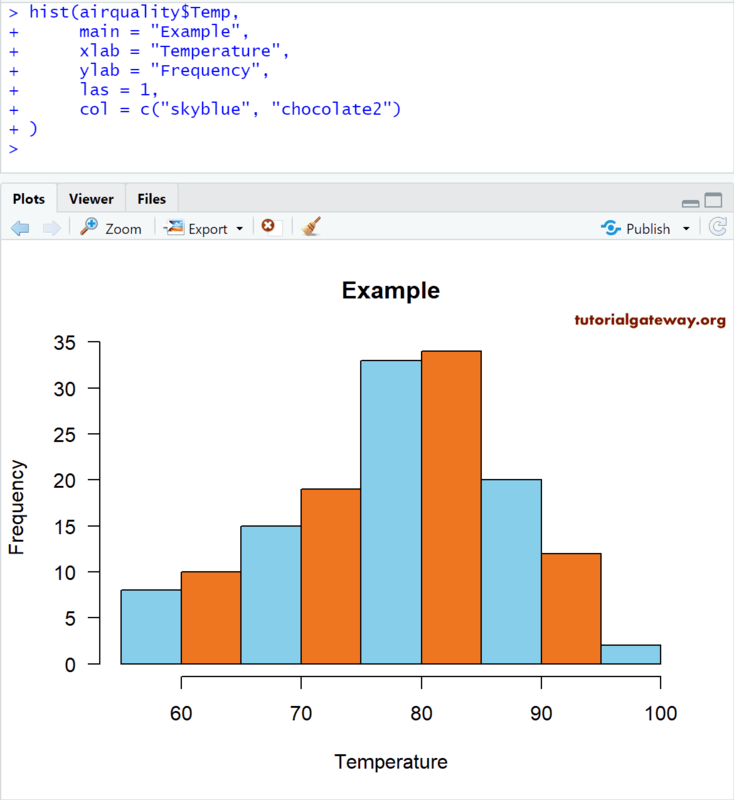 In general, before we start creating a Histogram in R, let us see how the data is divided by the histogram. 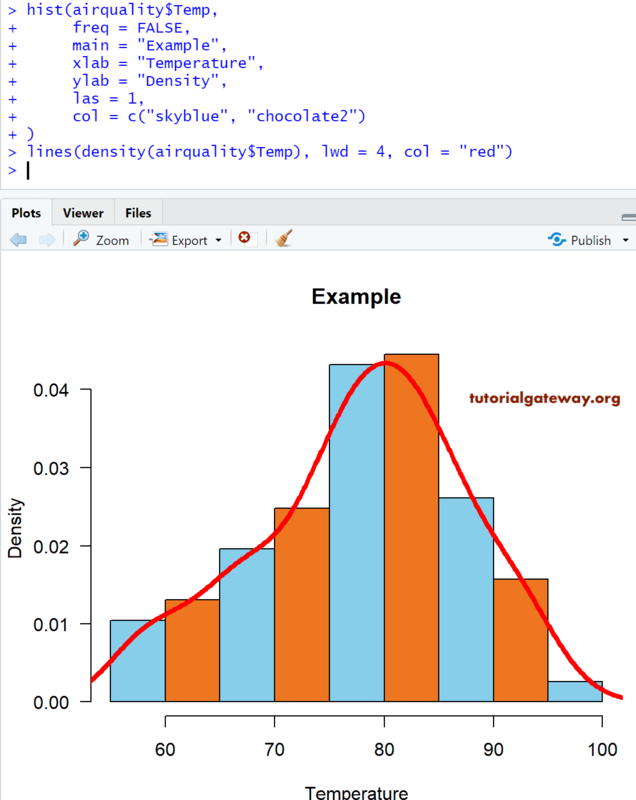 The Histogram in R will return the frequency (count), density, bin (breaks) values, and type of graph. 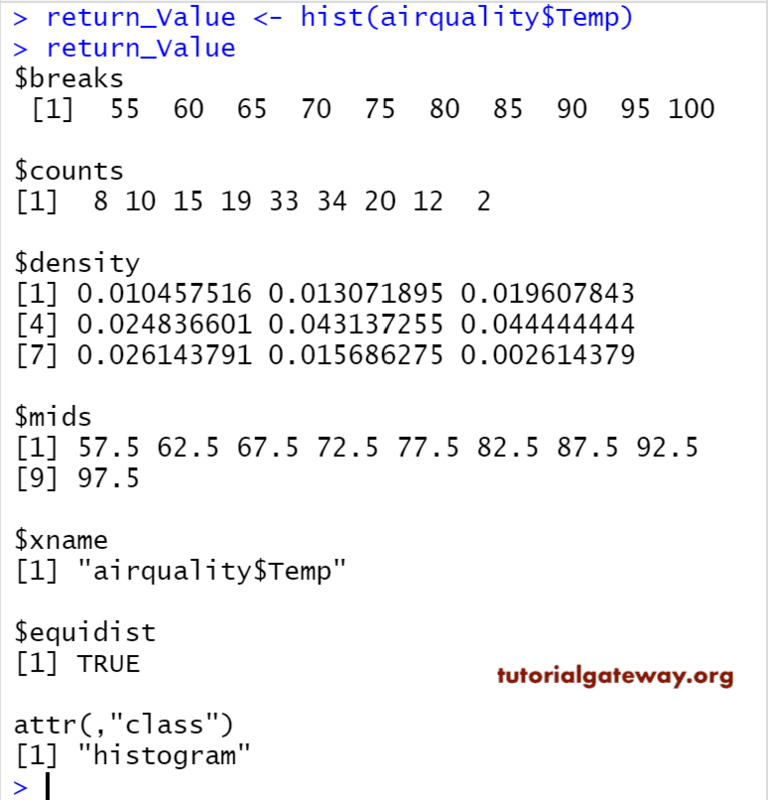 airquality data set will return the output as a List. So, we are using the $ to extract the data from List. main: You can change, or provide the Title for your Histogram. From the above code snippet you can observe that, we used two colors for the col argument. It means, those two colors will be repeated until the end of bars. 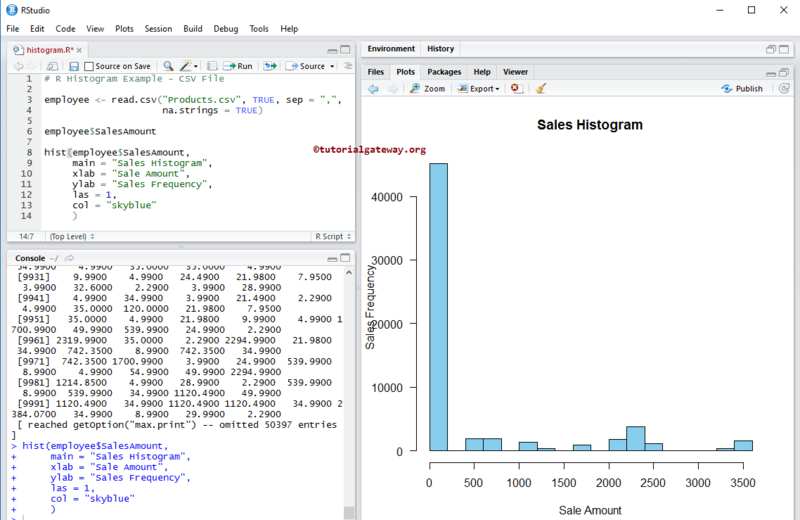 In this example we will show you, How to remove the X-Axis, Y-Axis, and how to assign labels to each bar in histogram using axes, ann, and labels argument. axes: It is a Boolean argument. If it is TRUE, axis is drawn. labels: It is a Boolean argument. 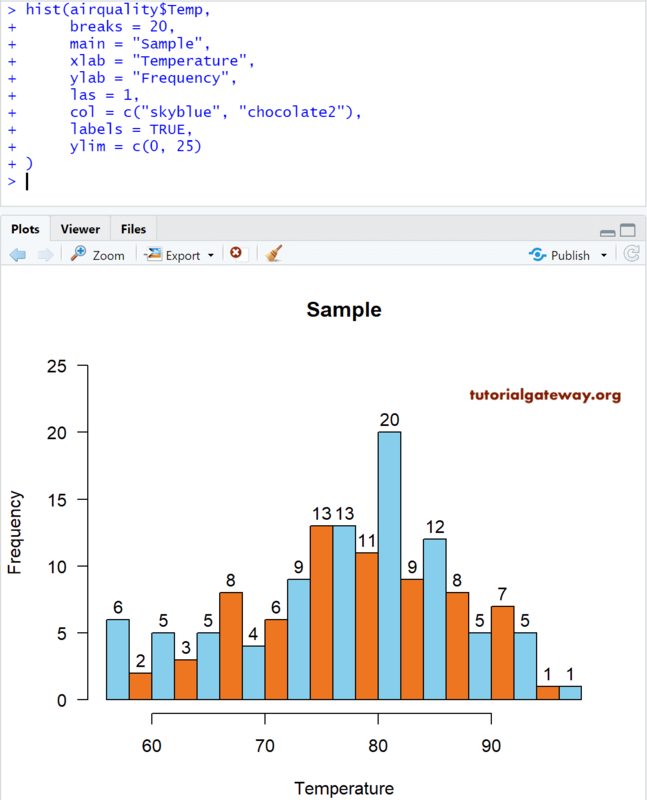 If it is TRUE, Histogram will return the value of each bar on top it. ann: It is a Boolean argument. If it is FALSE, Histogram will remove the annotations from the plot area, which includes Histogram name, Axis Names. density: Please specify the shading lines density (in lines per inch). By default it is NULL, means no shading lines. You can use a Vector of values that specify the break points between histogram cells. 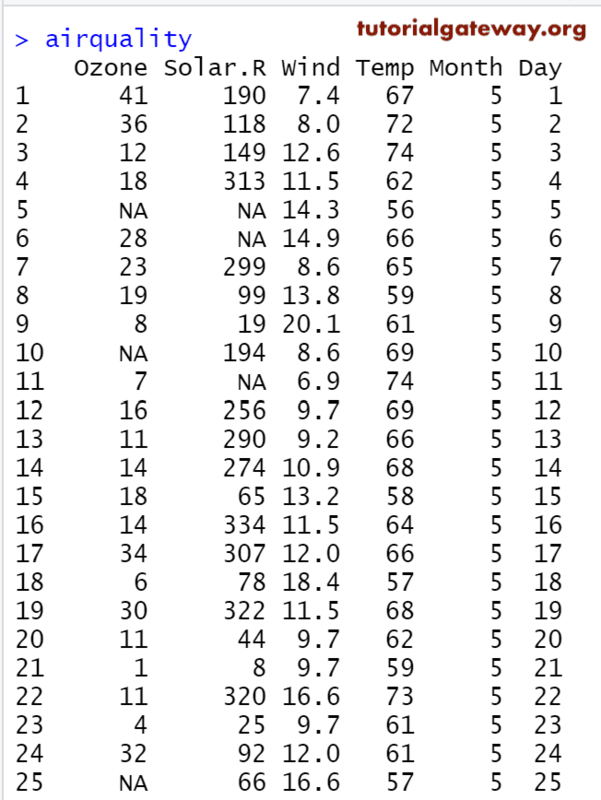 You can use a Number that specify the number of cells a histogram has to return. For example, breaks = 20 means, 20 bars will be returned. You can use a function that returns a Vector of break points. Frequency will count and give us the number of data points per bin. In real-time we are more interested in density than the frequency based histograms because, density can give the probability densities. 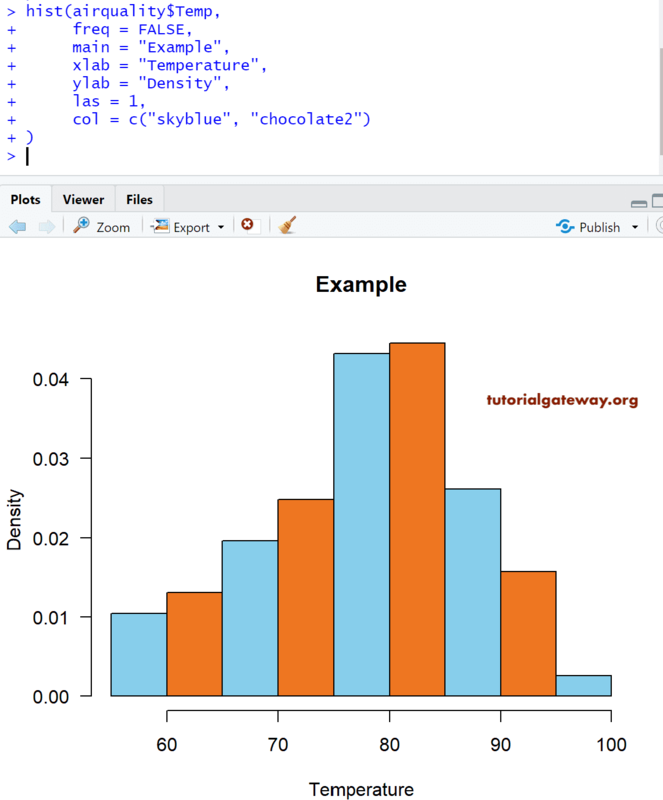 In this example we will show you, How to create a Histogram in R against the Density and to achieve the same, we have set the freq argument to FALSE. In this example we will show you, How to add the density curve to the Histogram using lines function. 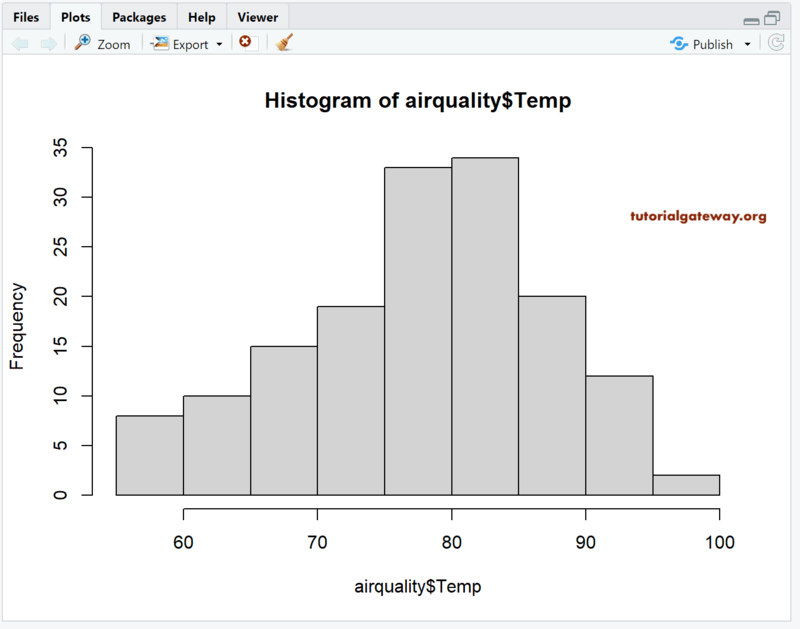 In this R Histogram example we will show you, How to add multiple Histogram to plot region. 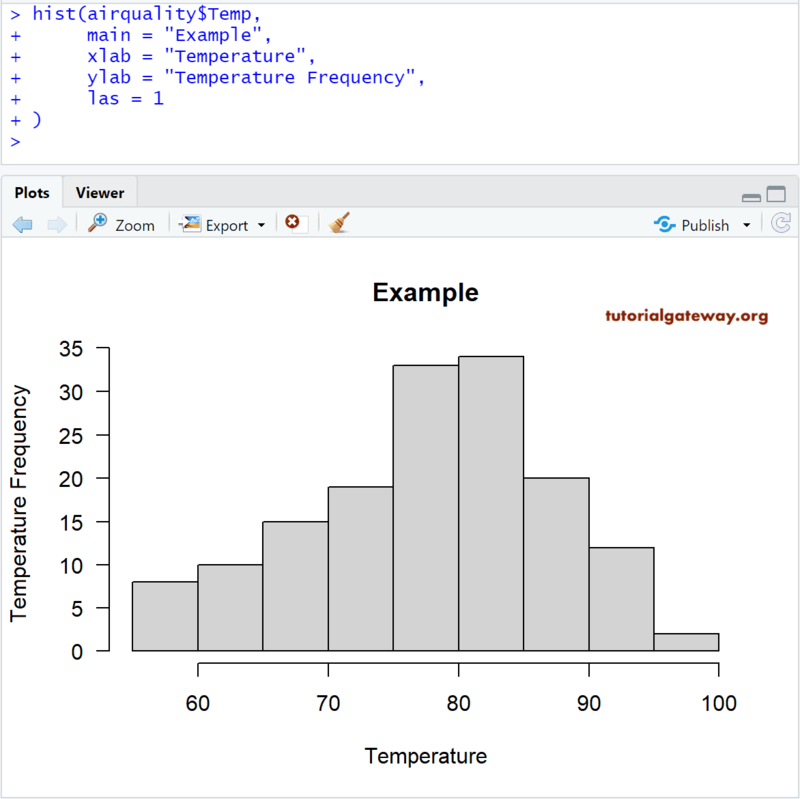 In this example we will show you, How to create a Histogram in R using the external data. For this, we are importing data from the csv file using read.csv function. please refer R Read CSV article.